Copy and paste is one of the most useful feature. You can copy text from one place and paste to another place which is a lot of convenient and fast. 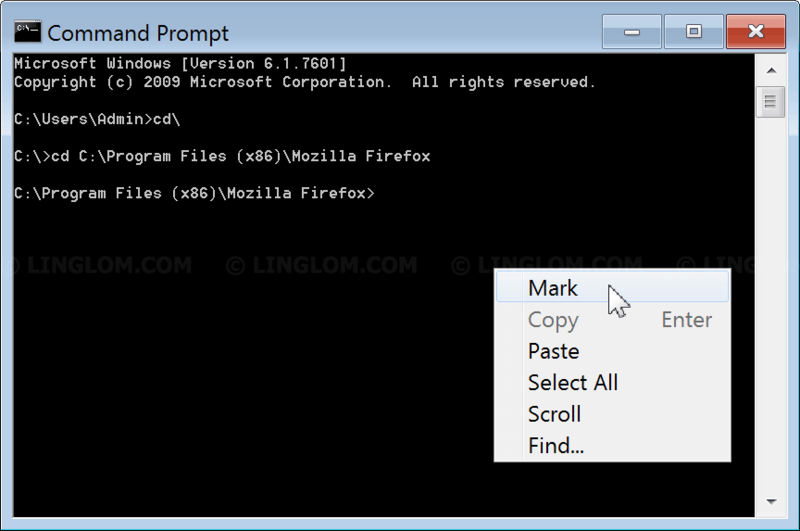 Generally, we use Ctrl + C to copy and Ctrl + V to paste as keyboard shortcuts on Windows. We can use the shortcuts on Windows explorer, MS Office, text editor, and many other programs. But we can’t use it on Windows Command Prompt. If you use the shortcut on Command Prompt, it will display as ^C and ^V respectively. 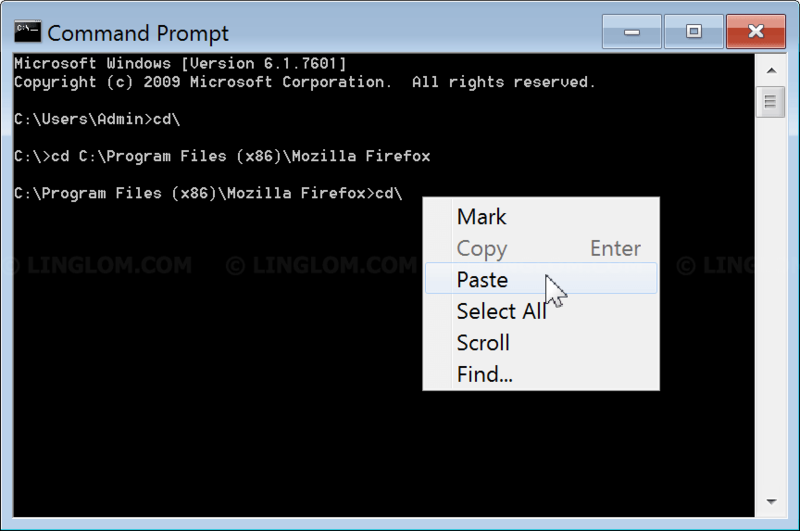 This article shows how to use copy and paste in Windows Command Prompt. 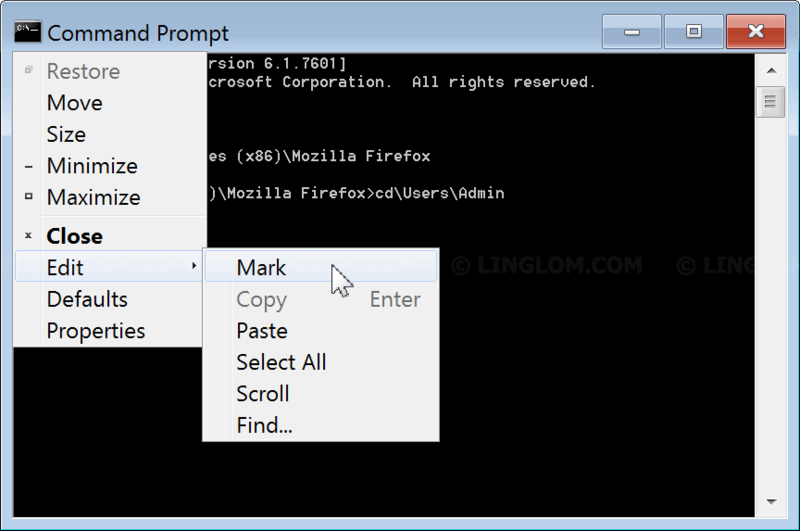 To use copy and paste commands in Windows Command Prompt, right click on Command Prompt window and select Mark. Highlight on the text that you want to copy and press Enter. In this example, it will copy the text “Users\Admin” to clipboard. To paste, right click on Commonad Prompt window and select Paste. Note: You can also paste text from other programs. Here is the output after you clicked Paste. 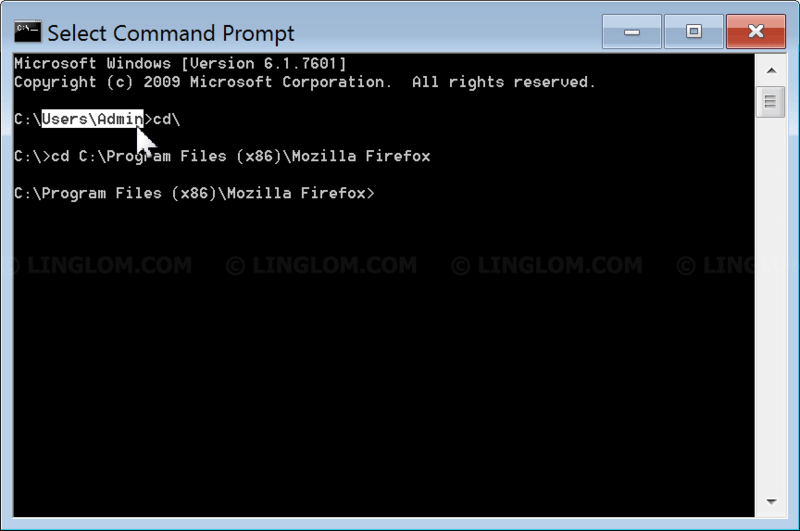 You can also use auto completion on Command Prompt by press TAB. In this example, I type “cd Program Files\W”. When I press TAB, it will auto complete the folder name that start with W. This feature is available since Windows XP. Sometimes, you can’t use right click on Command Prompt window, but you can still copy and paste texts by click on the icon (on top left) of Command Prompt window and select Mark/Paste as you want.